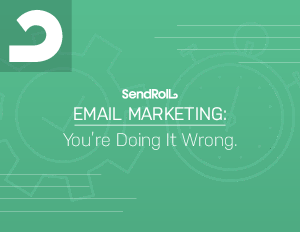 Home > AdRoll > Email Marketing — You're Doing it Wrong. Learn 12 tips to supercharge your highest performing channel. Email retargeting connects rich customer data to email addresses in order to nudge customers from their inboxes to conversion. According to VentureBeat, for the past 10 years, email has produced higher returns on investment than all other marketing channels. A recent study found that for every $1 spent on email, marketers received an average return of $38. Are your subject lines attention grabbing? Are you collecting email addresses early enough? Did you create individualized email plans? Learn how to avoid these oversights and more with proven advice compiled from dozens of marketers and our own data analyses. With email marketing making a comeback in the age of programmatic, check out how to take advantage now and optimize the best you can as more and more companies continue the march towards automation.